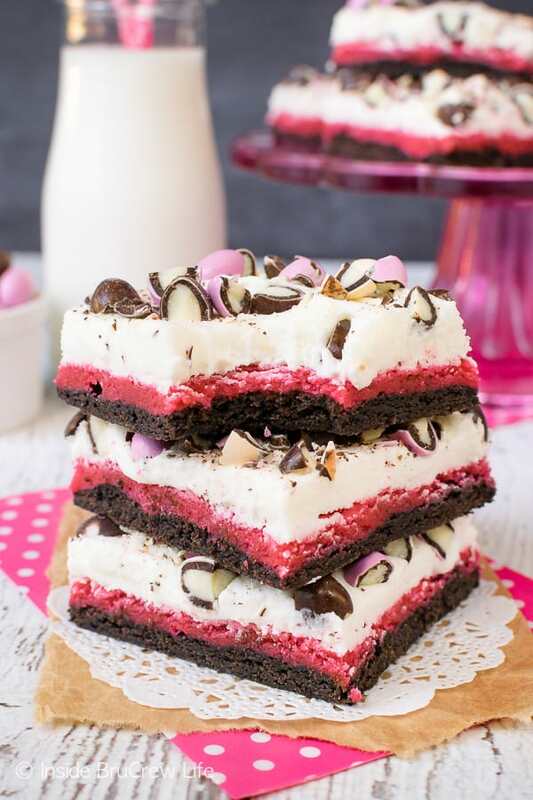 Layers of chocolate, strawberry, and vanilla make these easy Neapolitan Sugar Cookie Bars a fun spring treat. 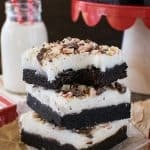 Save time in the kitchen by making and frosting these easy cookies in one pan. Even though I bake like a mad woman every week, our kids still beg for store-bought treats. I know, that’s crazy, right? 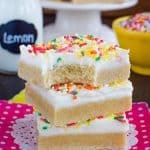 One of their absolute favorite things right now are frosted sugar cookies. Not just any cookie though. They are in love with the ones from the store that come in a clear plastic box. You should see the look on their faces when we give in and buy a box for them. Our youngest has even gone as far as to say that these cookies are his favorite treat, and that they are better than anything mom can make. Hhhhhmmm…challenge accepted. I blame it on the fact that he doesn’t remember a time when I used to make these Cinnabon Sugar Cookies and other cut out cookies for a small cake and cookie business I used to run from our home. It’s seriously been years since I have busted out the box of cookie cutters. 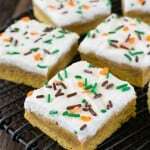 That poor box has not been opened since I made these Eggnog Sugar Cookie Bars one holiday season. Once I realized how much easier and faster it was to bake and frost everything in one pan, I haven’t looked back. In fact, I’ve kind of become a little obsessed with making all the flavors. So far I’ve done lemon, chocolate mint, funfetti, s’mores, mocha hot chocolate, salted caramel, unicorn, and shamrock shake. I’m sure more flavors will eventually happen too. 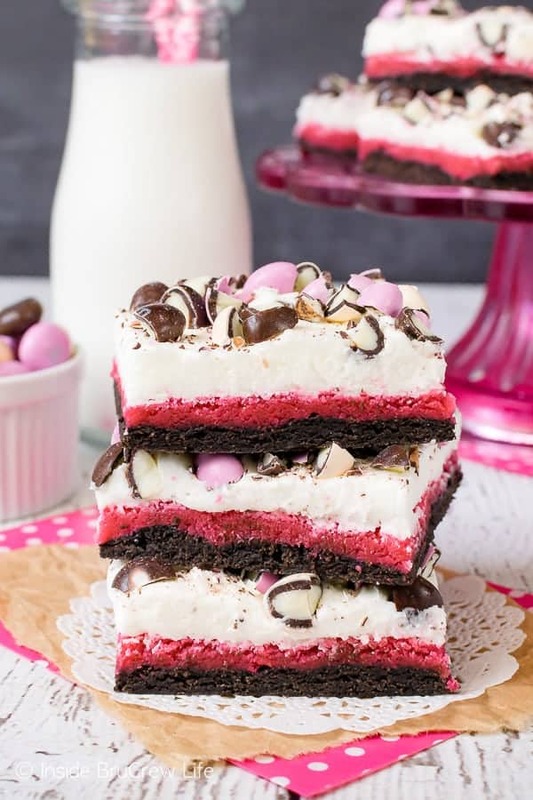 Of course, the first thought I had when I saw the new neapolitan M&M’s at Target was sugar cookie bars. 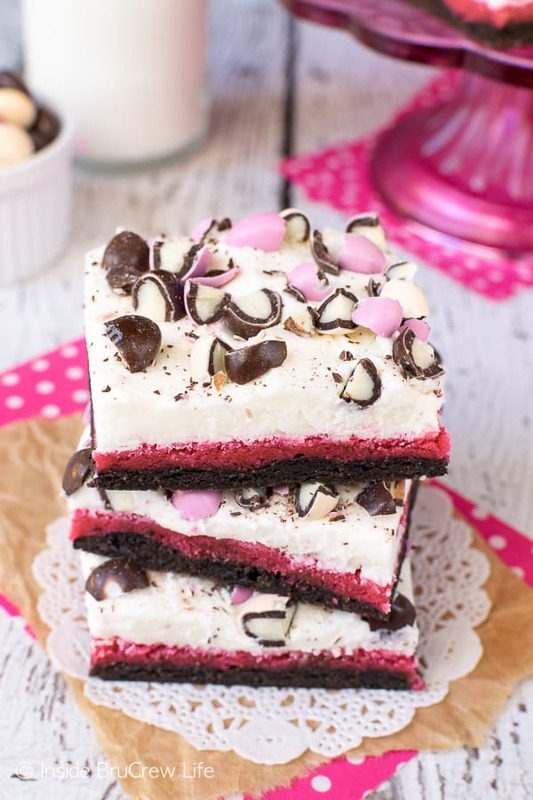 Three layers of color and flavor make these easy Neapolitan Sugar Cookie Bars so fun. The best part about making cookies in one pan is that it barely takes any time at all. Just press the dough into the pan and throw it into the oven. No more rolling pin, cookie cutters, and flour everywhere!!! Gotta love that! 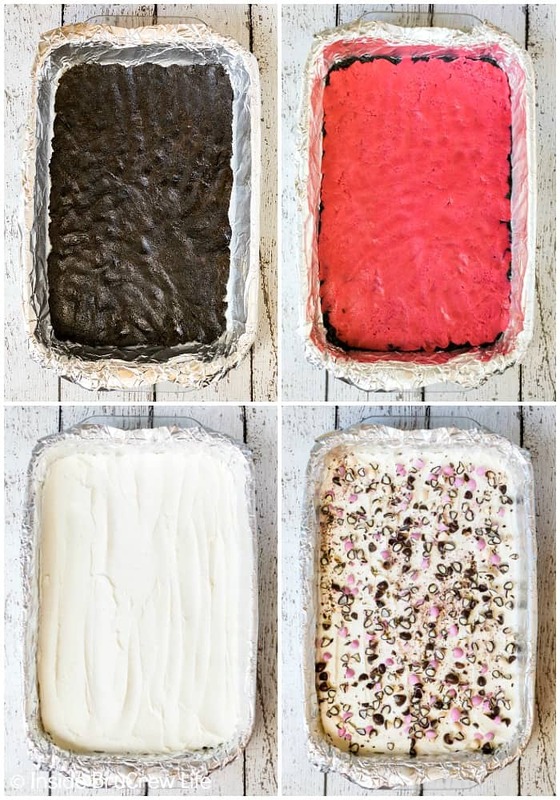 To make colorful bars, divide the dough into two bowls and add the different powders and extracts before you press the dough into the pan. 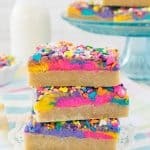 Adding chopped up candies or sprinkles adds another fun twist to these neapolitan sugar cookie bars. 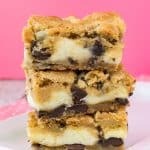 These bars look so good! What is the strawberry powder you use? I was wondering about the strawberry powder myself. 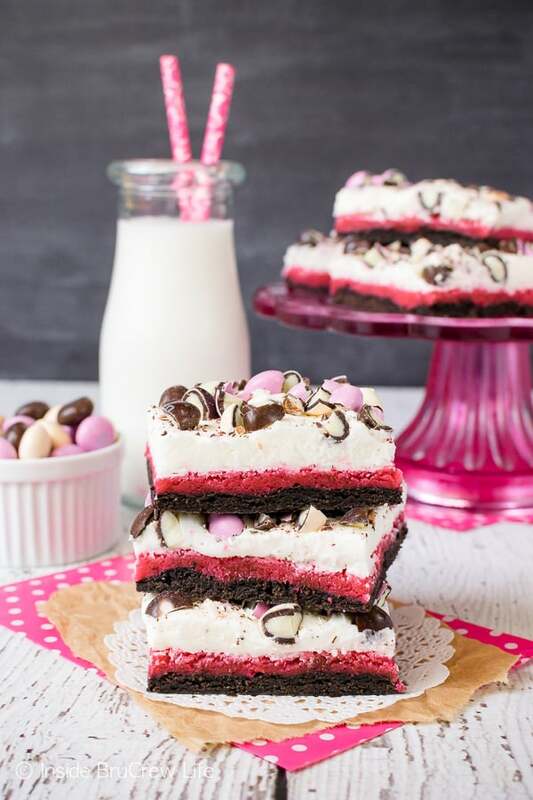 I used the Nestle Nesquik strawberry powder and syrup for these bars. You can find it in the hot chocolate aisle of most grocery stores I believe. 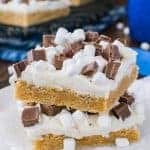 I hope that helps and that you enjoy the bars! The powder and syrup are both the Nestle Nesquik strawberry products for milk. I hope that helps.